Mad Men hasn't portrayed McCann Erickson in the kindest light. But this isn't the first time the show has written a real-life company into a script without permission. Ad agency McCann Erickson is leveraging the publicity it has received on AMC’s Mad Men, despite the fact that the TV show hasn’t portrayed the firm in the kindest light. 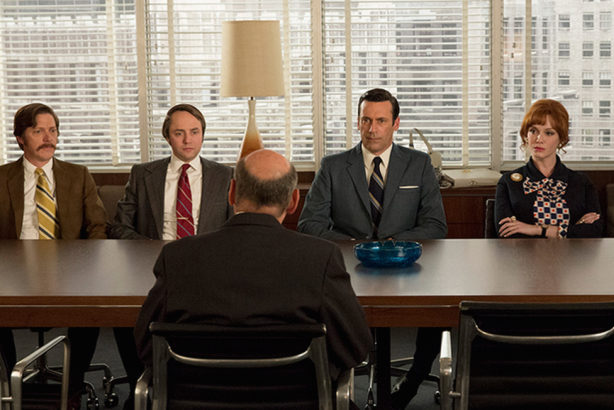 On the series, McCann buys Sterling Cooper & Partners, promising to keep the firm as a separate entity. However, it later brings Sterling Cooper into the fold. Aside from backtracking on its promise, Mad Men’s 1970s-era McCann is full of boorish, womanizing jerks. To drive home the idea that McCann is an evil ad agency, Jim Hobart, the head of the fictional McCann, occasionally throws in statements such as, "This firm has so much pull it could get The New York Times to print Mein Kampf on its front page." "We’ve been using Twitter and Facebook to respond," the real-life McCann’s EVP and CCO Jeremy Miller told PRWeek. The agency has told media outlets that the show never asked McCann for input or permission to use its name. During episodes of Mad Men’s seventh and final season, McCann has been live-tweeting with the hashtags #MadMen and #MadMenMcCann. For instance, when a McCann staffer on the show tells character Joan Holloway that she should be in the bra business as she is a "work of art," the real McCann tweeted out an apology. The firm is also cleverly using the show’s content to share facts about McCann’s history. For example, in an episode that aired earlier this month, lead character Don Draper took a meeting with Miller Beer, which was about to launch a diet beer that America would come to love as Miller Lite. The real agency even created fake employee ID cards for the show’s characters, posting the creations to its social media accounts. Web mentions of McCann are up 46% since early April, when the show started airing again, according to news reports. In addition, media outlets such as A.V. Club and The Wall Street Journal have praised McCann for having a sense of humor in the face of such negative publicity. But this isn’t the first time Mad Men has written a real-life company into a script without asking for permission. In a June 2013 episode, Draper pitches executives from Hershey and ends up talking about how much the chocolate bars meant to him as a child growing up in a brothel. Anna Lingeris, senior manager of brand PR for The Hershey Company, told PRWeek that the company was unaware the brand would be mentioned. "I remember being at home and watching it and suddenly my Twitter feed was seeing a lot of activity. By the morning, we had a lot of media calls because of the episode," she recalled. The brand’s inclusion garnered 702 million media impressions for Hershey, according to Lingeris. She noted that Mad Men was slightly off in terms of approximate dates, as the episode took place in the 1960s and Hershey didn’t have any mass media advertising until 1970. However, she explained that the show was still authentic and true to the real brand. "Hershey has been around since 1894, so Mad Men helped to tell the interesting story about our founder’s belief in word-of-mouth marketing," Lingeris said. "Hershey was a latecomer to the advertising game." Lingeris said the company was "very pleased" with the brand’s inclusion and thanked Mad Men creator Matthew Weiner by sending him and his team Hershey products. The brand’s response was more internal than external, Lingeris explained, because real-time marketing was different back in 2013. "It’s part of the norm now for brands to take advantage of something like this, but that wasn’t the case two years ago," she added. "There would be different ways to leverage it today. Social has changed the dynamics of the marketing game."